Poverty in Haiti - Are Haitian politicians thinking for them? Take a look at this photo... Imagine the people who live in this tiny little house... Where do his children go to school? Where does he get medical care when he is sick? If they have an emergency at night, who will come to his rescue? When you consider all the politics in Port-au-Prince happens "for the people", what people are they talking about? This little house is in the middle of nowhere, outside Maïisade. 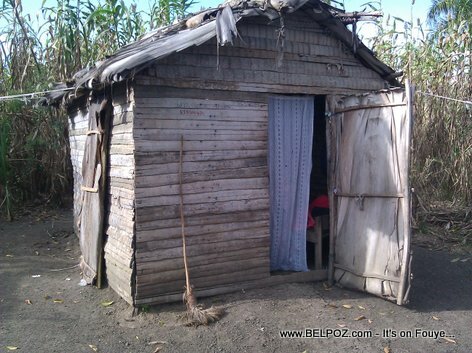 Do you really think Haitian politicians give a danm about this family who live insied this little house?